The cultural and natural heritage of European tourism are its two main assets and maintaining the competitiveness of European tourism means preserving those assets. 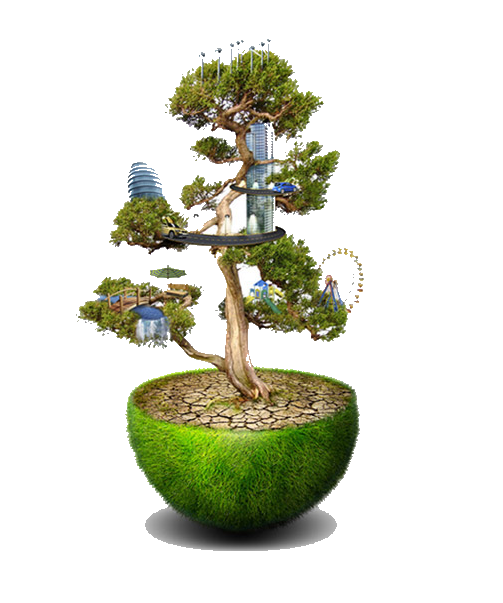 The aim of this website is to illustrate how and why this is done in practice and to better prepare those studying tourism for the challenges of managing a sustainable business. Here you can browse through numerous real-life practices you can implement in your enterprise, read about businesses, which have successfully introduced such measures in their work, making them both more profitable and more socially responsible. Finally, you can test your knowledge on the matter through tests or by choosing how to deal with issues you may encounter in real life through a simulation. We hope this resource will both inspire you and help you learn how to manage a business in a practical and responsible manner, which will profit you, your community, and future generations. 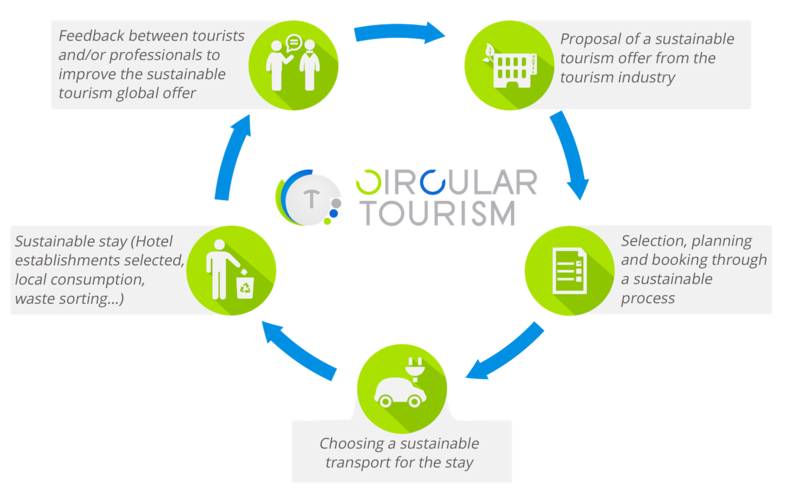 Circular tourism follows the logic of the circular economy, a business model consistent with the principles of sustainable development. The so-called circular economy wants to create a virtuous circle that produces goods and services without wasting the limited resources of the planet such as raw materials, water and energy. In the same way, circular tourism proposes a model in which each actor of tourism (traveler, host, tour operator, and supplier) adopts an eco-friendly approach. Opting for circular tourism allows travelers to take a responsible approach at all stages of their stay, from preparing for the trip to the local experience. Responsible management of the selected services: use of locally produced food, crafts and adopted eco-friendly measures, such as waste management, energy and water saving, etc. 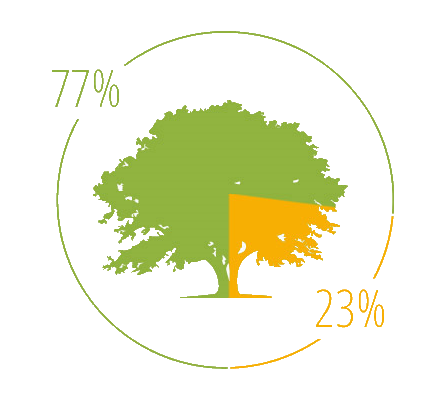 Currently, 17% of tourist establishments are environmentally engaged. However, this sector is expected to grow to meet current and future environmental challenges. Seen in the context of sustainable development, circular tourism can reconcile tourism and sustainable resource management. Its objective is to produce goods and tourist services while greatly limiting the impact on the environment (including the consumption and waste of non-renewable energy sources). Over three-quarters of businesses (77%) currently have practices in place to reduce the impact their busines has on the environment. Australasian and North American businesses are most likely to have eco-friendly practices in place (both 84% vs 77% overall), which falls to 73% among European properties. 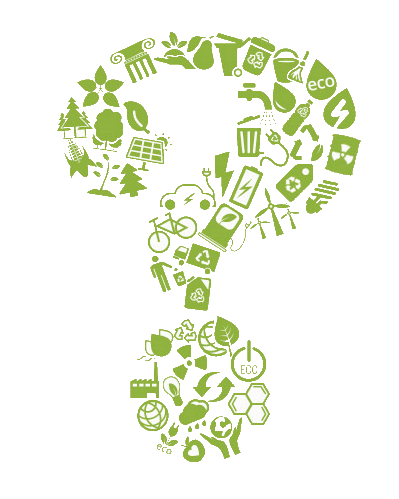 This educational tool was created by an international team, with members coming from five organizations of three European countries, working in the fields of education, professional training, environmental studies, and sustainability as part of the project <strong>“Green Ideas For Tourism for Europe”</strong> with funding from the European Commission under the <strong>“Erasmus +” programme</strong>.